CES 2019: Become a super-driver with Superdrive! A vehicle intelligence platform to avoid dangers on the road. A start-up that will be present at CES 2019 on the La Poste French IoT stand. Superdrive is a software solution that analyses data relating to vehicles, driving behaviour, and contextual elements, to provide real-time preventive advice. Developed based on the DRUST.IA intelligence platform, Superdrive helps drivers avoid dangers on the road, before they even arise. 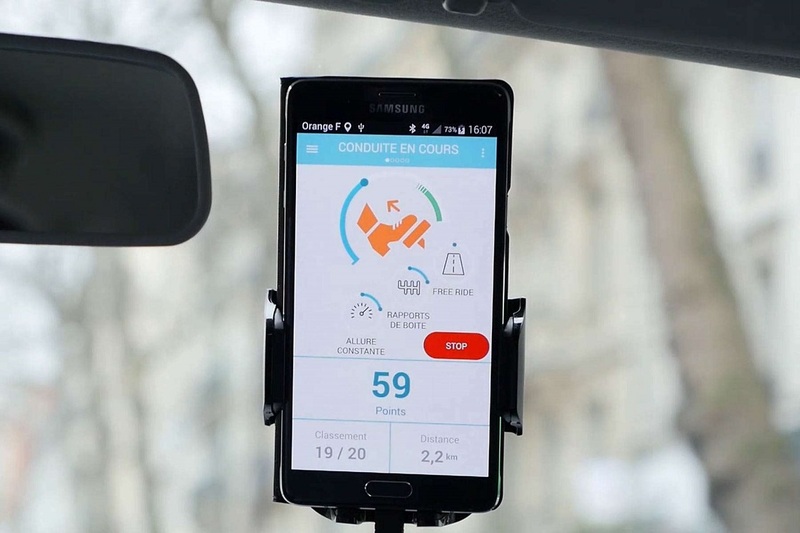 Drust, a start-up founded in 2014 by Michel Fernandez, Pascal Galacteros and Florent Pignal, designs, develops and sells software and artificial intelligence solutions to make sense of data from connected vehicles. It allows its partners (insurers, manufacturers, and key transport actors) to improve the driving behaviour of their customers. Superdrive is the first human-centred software solution using artificial intelligence to encourage driver engagement and responsibility, with the aim of making the roads safer. The DRUST.IA platform uses algorithms to characterise driving behaviour and car usage, to provide alerts and give drivers the best possible driving advice. The user interface adapts to the driver’s cognitive capacities, and the format and frequency of the recommendations varies according to the context. The advice can be given in real time during a journey, or afterwards thanks to post-journey analysis. The Superdrive alerts are designed to extend human abilities, while avoiding mental overload that might disturb drivers’ concentration. This turnkey solution provides smart preventive advice that takes into account contextual factors (road infrastructures, weather, traffic, etc.) to encourage care on the part of drivers. To keep the vehicle in good general condition, it also encourages appropriate driving and regular maintenance. It provides eco-driving advice on air conditioning usage, gears and speed, uphill and downhill driving, anticipating braking and acceleration, etc. Following this advice can reduce fuel usage by 30%. Superdrive also allows drivers to check vehicle wear and tear, and to access personalised maintenance and repair services. The Superdrive solution won a prize in the CES 2019 Innovation Awards, in the Vehicle Intelligence and Self-Driving Technology category. To discover Superdrive as soon as it is launched, head to CES Unveiled Las Vegas, in the start-up space at the La Poste stand. For more information, visit Drust’s website.